We would like to thank everybody for their help and support throughout the year. We wish you all a Happy and Peaceful Christmas and all the best in 2017. We return to school on Monday, 9th January 2017. A big thank you to everybody who supported the annual St. Vincent de Paul Collection. By donating these items, you are helping families and individuals enjoy a special Christmas meal. 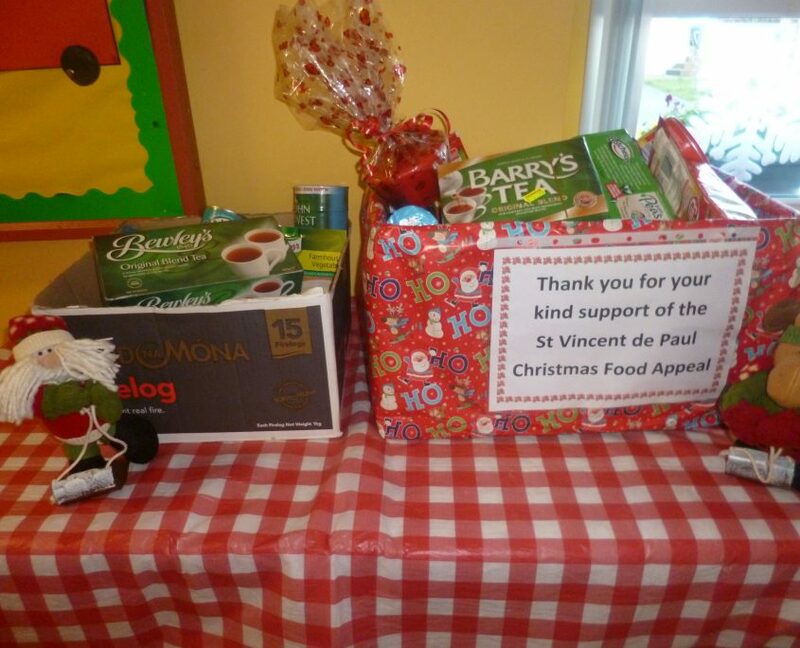 The Strokestown branch of St. Vincent de Paul will distribute these food items to the many underprivileged children and families in the area, in the coming days. 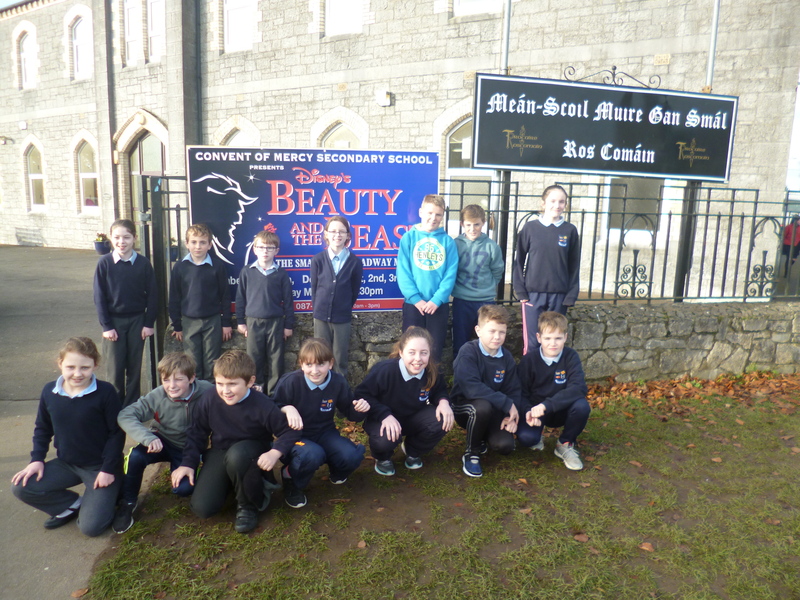 The Senior Room recently attended the Musical “Beauty and the Beast”, which was performed by the pupils of the Convent of Mercy Secondary School Roscommon. This was a fantastic production and we thoroughly enjoyed it.